Elizabeth Kay Richards is about to marry the perfect man. He is handsome, smart, comes from a wealthy family and has just graduated from the University of California at Los Angeles. Her life changes dramatically when her fiancé takes her to Las Vegas, on the pretense of celebration, only to subject her to a sadistic side she had never imagined he could possess. Breaking free of his iron grip, she smacks face first into a giant beautiful Mountain of a man. He is quiet and brooding and seems to have a permanent frown but the heat in his bright blue eyes, when he looks at her, makes her feel things deep in her soul that she didn’t know existed. She soon learns that he is part of a group of men called Keepers and their fathers and forefathers before them have had this job since the beginning of time. Each and every one of the Keepers is a drop dead gorgeous man chiseled by the hands of Michelangelo or Auguste Rodin, and Elizabeth has been asked to unconditionally accept their way of life. But when her Man Mountain finds out that the evil he’d been hunting may now be zeroing in on Elizabeth, he stashes her with her old roommate for safe keeping. Trouble follows her to the college town of San Luis Obispo, and she’s forced to confront demons without him. 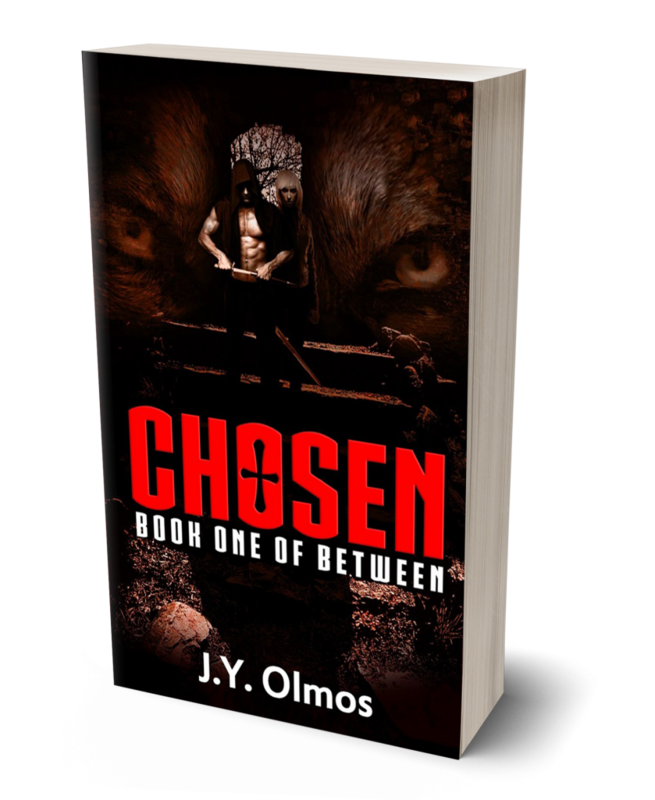 This first novel by J. Y. Olmos is an excellent entry into the fantasy romance genre. I was impressed by the heroine’s transition from accepting abuse from her fiance to coming into her own and becoming much more self reliant and confident. The author knows how to tell a good story, uses humor well, and keeps the pace going. She has a good grasp of fantasy and even manages to work in unicorns! I look forward to the next book in this series and have a feeling major changes are in store for the Keepers and the Between. This book has something for everyone. It includes the supernatural, romance, mystery, & suspense. Olmos creates a whole new universe, blending some of what we know with the unexpected & newly imagined. There’s enough mystery & intrigue to keep you turning the pages till the early morning. Not a lot of “filler”, didn’t find myself constantly skimming ahead to get back to the story. Overall I enjoyed this book & look forward to reading more about the Between.